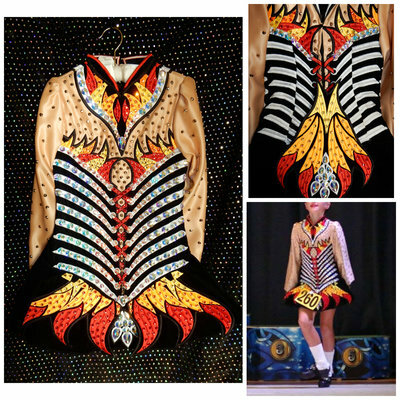 Stunning Gavin dress,very eye catching on stage. Covered in genuine Swarovski rivoli crystals. Never been altered,lots of let out room. Lovingly looked after and from smoke and pet free home. Happy to ship,sale of dress is final.